Do you need a new liner? We can help you come to the best decision based on your needs and can address any concerns on the below questions. We offer both in-ground as well as above ground liners manufactured by Premier – choose a premium vinyl liner from the SuperMax and DuoMax patterns. Choose a liner that compliments your pool and its’ surroundings. Make sure of your dimension measurements prior to ordering. 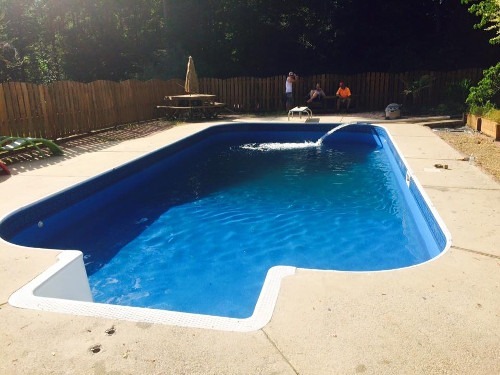 What you need to know: the pool diameter if it’s round and the length/width if it’s oval. Measure from outside bottom track to top of wall. 48″, 52″ or 54″ are the most common heights. Is your existing liner overlap, ezbead or beaded? Do you have an existing deck that may impede removing top seats/existing liner? Does the bottom need additional sand due to erosion, divets or protruding objects due to settling? 20 mil or 27 mil Duo Max / Super Max. Choose the perfect liner that you will be happy with for years to come. Is it full, clear or dirty? The condition of your water is important to know prior to draining and measuring. When old liner has been removed. (rust/corrosion may need to be cared for prior to replacing liner) Wall foam may be an option. May need to be replaced due to chemical corrosion to give your pool a new look. When old liner has been removed. Vermiculite or sand bottoms may require some minor/major repairs to smooth areas or fill in holes. Are they in working condition? Make sure lights are not corroded. You may need to potentially replace face plates and gaskets and make sure there are no leaks. Does it need a new paint job? Now is the perfect time to do this. 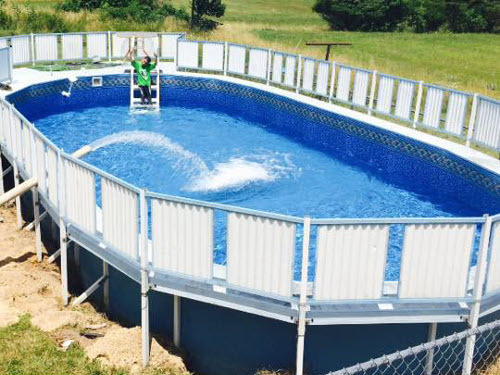 Are you filling your pool with your own H2O, or do you need H2O delivery? In Most cases we can quote your pool liner needs over the phone so give us a call!